Organization: The respective offensive utility players can be included into the play. 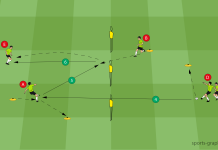 Either with a pass into the feet, then they can continue the play with up to two touches or with a pass, which they are allowed to head to behind the goal. Coaching: The utility players must recognize, when they need to be open for a flat pass and when to take the opportunity to sprint into the depth. The situation on the ball is crucial to this decision (pressure on the ball carrier yes/no?, is he able to pass yes/no?). 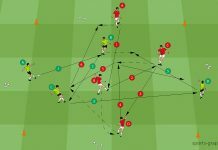 Variation: The utility players get a guideline set (only passes into the feet or into the run or different guidelines for different players). 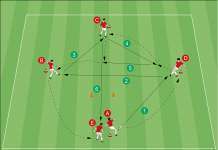 If a utility player is introduced into the play from behind the goal, he reenters the field and plays with the same team now into the different direction of play until the ball is lost. Match Situation: The utility players act like wing players, which react according to the situation on the ball. 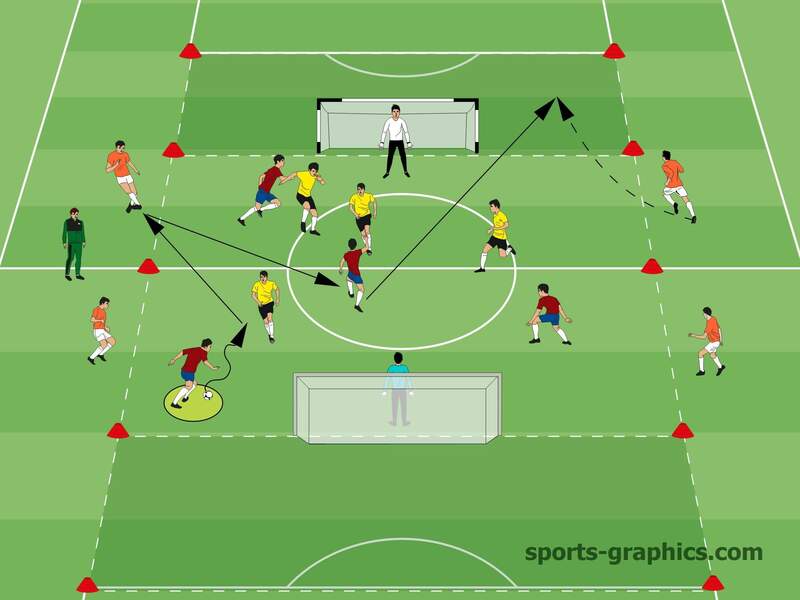 Moreover, gap passes are demanded as well as chip balls to reach the sprinting player. 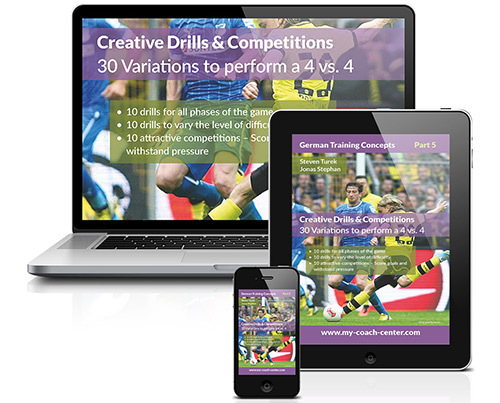 All soccer drills presented are from Steven Tureks and Jonas Stephan eBook “CREATIVE DRILLS & COMPETITIONS“. Based on 30 drills for a 4 vs 4, Steven Turek reveals and demonstrates creative ideas. Some echo a reduced 11 vs 11, some vary the level of difficulty and some present attractive competitions and contests. !